With water this welcoming, is it any surprise that the Turks & Caicos Islands offers an array of “on the water” thrills? From kayaking to kitesurfing, we’ve got it all. A unique inland marine lagoon with incredibly-turquoise water and rocky islands. Visitors love to kayak, paddle board or simply sightsee by road this main attraction of TCI. One of the oldest tourist attractions. A close-up look at the life of the iconic creature of the islands: the queen conch. This is the home to see some of the fish and rescued turtles that inhabit the Providenciales. Tour the locally brewed and produced beer: Turk’s Head. If you are a true beer enthusiast, go on the factory tour to learn, sample and discover our local beer! Exploring by boat is one of the best ways to see the the beauty of Turks and Caicos. Explore sand bars and enjoy one of a kind snorkeling sites. Getting around this island by boat is a wonderfully unique way to soak up all it has to offer. Tours by bus, Vespa scooters, ATV, helicopters, cycling and ferries to discover the island’s beautiful beaches, the hidden gems and watch the Turks and Caico’s wildlife in its natural environment! Private or shared, tours are as soft or rough as you want them to be. Tailored to the activities that you love the most like biking, snorkeling, kayaking horseback riding, hiking and diving, eco-tours are a way of practicing sustainable tourism and discover the astonishing bio-diversity of flora and fauna in the island. Several water sports operators offer jet ski rentals and guided jet ski tours of the small cays and shallows of the Turks & Caicos Islands. Favorite jet ski destinations include the uninhabited cays just east of Provo and the abandoned La Famille Express freighter off Long Bay Beach. Shelter flats and crystal-clear waters make the Turks & Caicos Islands ideal for wakeboarding fun. You’ll find the best conditions off the east side of the island near Providenciales. Local tour operators can make all the arrangements for a safe, guided experience on the water. Grace Bay is the island’s unofficial epicenter for paddle boarding. It’s perfect for open water cruising and offers spectacular beach views. If you’re on the hunt for wildlife, opt for the mangrove wetlands of Princess Alexandra Nature Reserve, where you can also find guided eco-tours. Head to Long Bay Beach on a breezy day to meet fellow kitesurfers and windsurfers. If you’ve never tried kitesurfing, connect with Kitesurf TCI, which offers gear and lessons with certified instructors (as well as hourly and daily rentals). Kayaking is one of the most popular water sports on Providenciales. Whether you’re cruising along Grace Bay or taking a guided eco-tour of the nearby Princess Alexandra Nature Reserve, you’ll discover stunning scenery, including wetlands and wildlife, along the way. 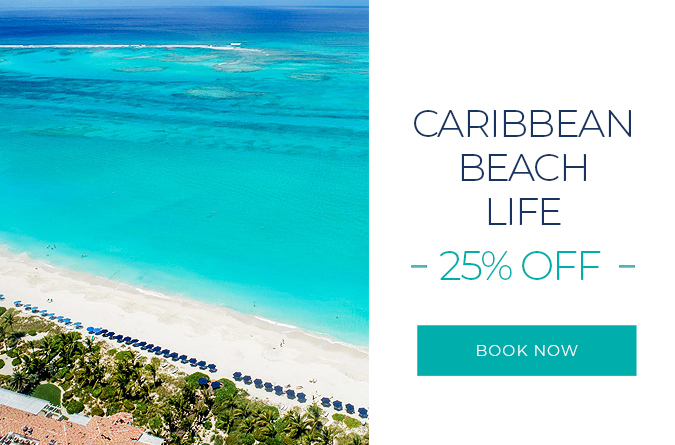 Due to the ocean clarity and the scenic natural sights, the Grace Bay Beach region of Providenciales offers some of the finest parasailing in the whole Caribbean. From high above, you can see most of the animals living undersea, including turtles, dolphins, rays and sharks. No wonder why Turks and Caicos has been ranked among the "Top ten Most Popular Dive Destinations Worldwide" and the #1 "Healthiest Marine Environment" (Rodale’s Scuba Diving Magazine). Turks & Caicos is a mecca for their walls, lying right under two undersea mountaintops with coral walls throughout. There are options for first-timers and expert wall-divers, guided by NAUI and SSI certified instructors.